...is crucial to energetic homeostasis and, importantly, to the maintenance and organization of chromatin. 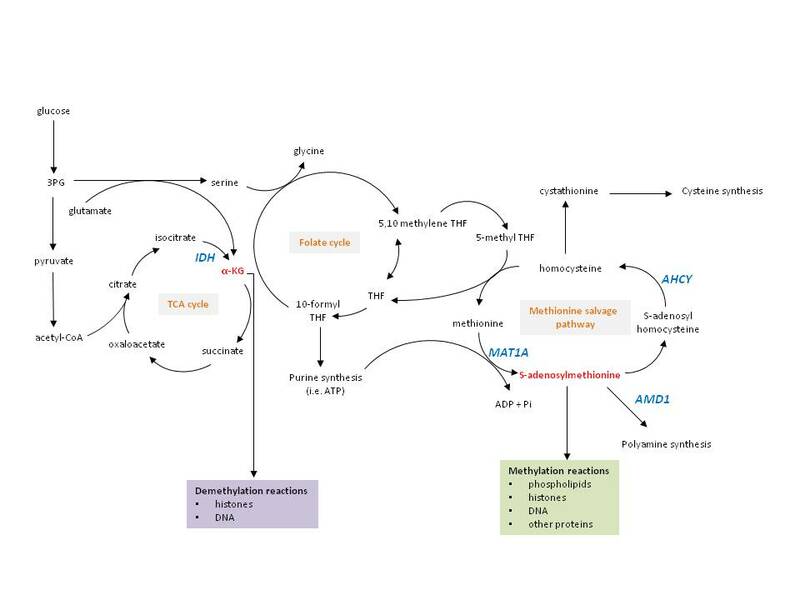 Several pathways converge on the production and catabolism of alpha-ketoglutarate and S-adenosylmethionine, key molecules that serve as a cofactor in demethylation reactions and as the ubiquitous methyl donor in methylation reactions, respectively. Many groups have shown that mutation of or perturbation to the enzymes that affect these substrates can alter chromatin by disturbing the enzymatic function of chromatin modifiers. We are in the process of evaluating additional mechanisms wherein metabolism and epigenetics converge in the transition to cancer.